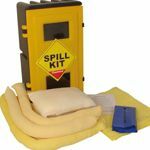 This economical emergency spill response kit will clearly show your commitment to safety and environmental protection but without breaking your budget. The inclusion of the plastic drum enables used materials to be safely placed into it for later disposal. 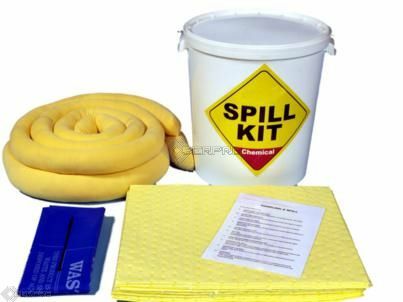 This is a hazmat specific spill kit which will absorb aggressive fluids such as acid, bases and other aggressive chemicals.